If your business is not on YouTube yet, you are really missing out on a lot of opportunities, not only to connect with new viewers or explore new market segments, but also to engage them on a completely different level. As a video sharing platform, YouTube now generates more than 4 billion views every day; that’s a lot of potentials to tap into. To make it even better, video marketing and YouTube in particular are only going to get bigger next year. There are reasons why your business should not neglect YouTube and we are going to discuss some of them in this part. YouTube offers an endless array of possibilities. You are no longer limited to conventional product overview videos or tutorials. In fact, users are more interested in compelling stories and beautiful visuals. By combining these two elements, you can convey key messages in more creative ways and still get a high level of impact. It is also worth noting that it is now easier to make YouTube videos. While there are creative agencies and production houses that offer video production services, you don’t have to spend a lot of money to produce high quality videos that work well with your marketing campaign. Videos are known to be more compelling and engaging than articles, but recent studies suggest that the impact of YouTube videos on click-through rate, social sharing and overall user engagement is much higher than anticipated. If your business is not on YouTube, you are missing out on a large stream of traffic and engagement. User engagement on YouTube can be further amplified by working with influencers. Boosted Board is a classic case study to look into. The company produces electronic skateboards that are now used by top YouTube influencers. Just by appearing on these influencers’ videos, Boosted Board grew from a small start-up to a big company in no time. Their sales and exposure level are unbelievable. 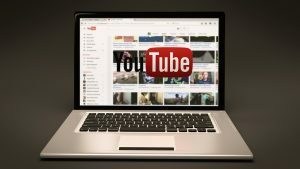 Last, but certainly not least, YouTube videos can help boost your brand – and your website’s SEO – performance. The videos you posted on YouTube can be highly optimized for SEO purposes, allowing them to appear in search results for the keywords you are targeting. Google are even prioritising video results in recent months, so videos are good for SEO indeed. There are other benefits to gain from being on YouTube too. You can provide information that wouldn’t work as well in the form of articles. A detailed tutorial on how to complete a DIY project – featuring one of your products – will be very popular among users. As you can see, YouTube and video marketing offer so many benefits. The entry barrier is also less challenging to break these days. The SEO benefits and high user engagement level make being on YouTube critically important for your branding efforts. In a market as competitive as today, a successful YouTube channel – and collaborations with YouTube influencer – will give you a much needed competitive advantage.